Bird Pyramid, a photo by roseycheekes on Flickr. 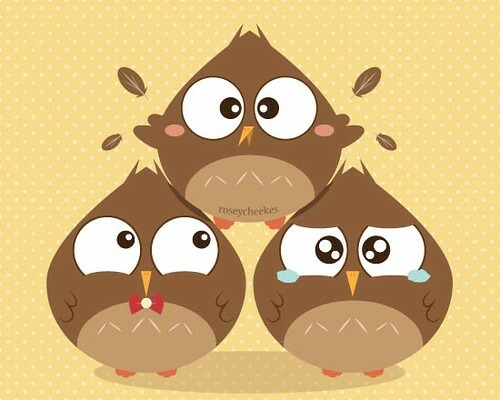 Absolutely adorable illustration of three chubby birds in a pyramid. Very cute expressions! Extremely cute. Looks like something that would fit right in with all the Sanrio characters!